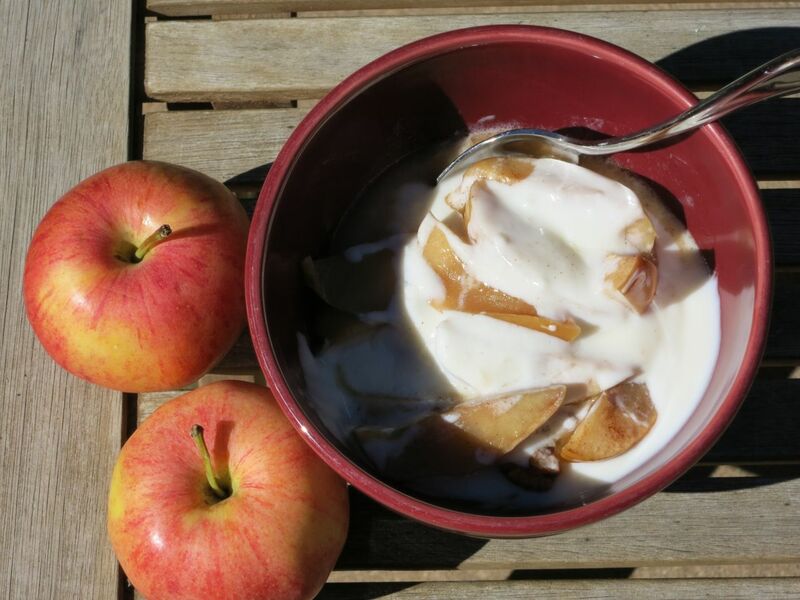 Hold The Crust, Please – Quick and Easy Baked Apple Slices! During a dinner party last weekend with some friends, I threw together this quick and easy apple dessert. It was a big hit – and a great way to enjoy fruit that’s in season! Mmmmm…close to apple pie a la mode, but without the guilt! With just a few simple ingredients, you can make this delicious and (mostly) healthy treat around your home in no time. Apple Pie without the crust! –Serve in small bowls and top with vanilla yogurt for a healthy choice, or vanilla ice cream for a more decadent option. You can’t go wrong either way! Note: I didn’t have any in my kitchen at the time, but I think raisins would make a great addition to this yummy combination! Don’t you think apples are such a wonderful fall crop? 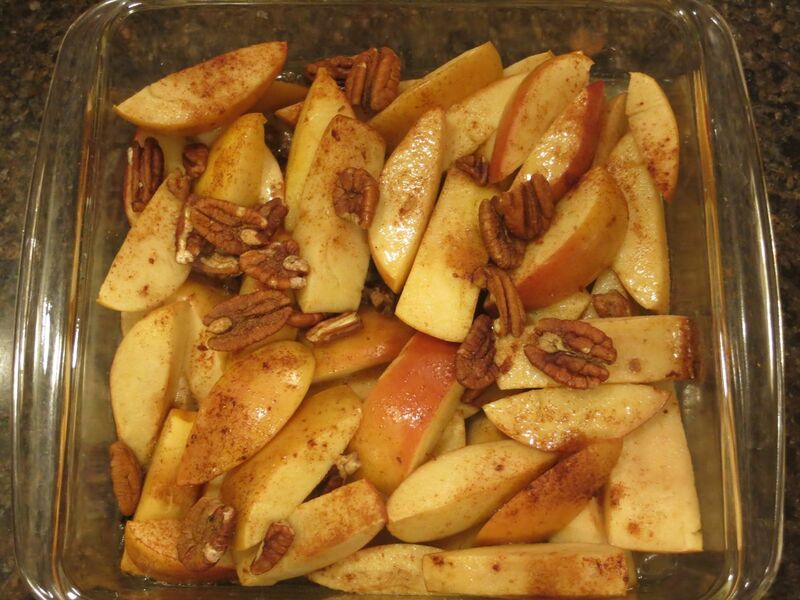 What are some of your favorite apple recipes? I’d love to hear about them in the comments below!